Description: Hidden Journalist is a hidden object game. 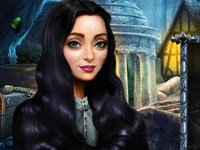 Amazing breathtaking hidden object adventure and match 3 jewels game! The journalist who investigated the secret government experiment has disappeared. His friend journalist Katherine must follow a trail of clues and riddles to uncover the truth behind the experiment and to find the hidden friend. Help her in this mysterious adventure!. Hidden Journalist is a Hidden Object Games.